Men's watch with sporty forms. 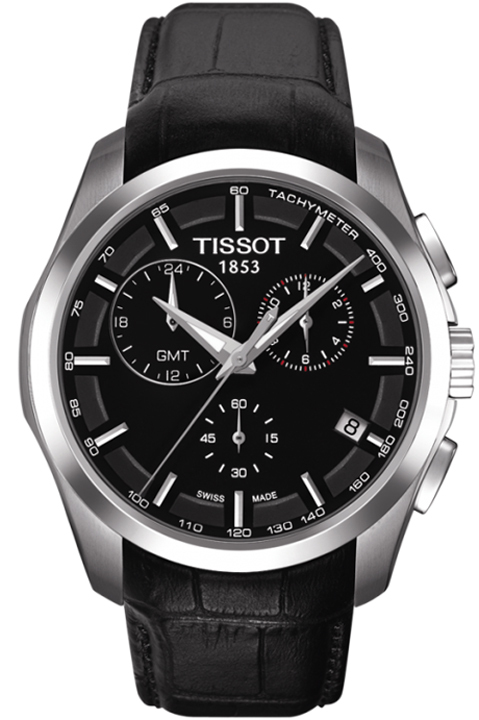 The watch is part of the Couturier collection from Tissot, which is designed for the sporty and fashion conscious person. An outstanding watch! It is almost perfect. The one thing I can find fault with, is that not all the details are as clear as they appear on the picture. It is a very good-looking watch, with a pure style and masculine look, but it is not particularly flashy. When I bought the watch I was afraid it would look too big for my wrist – you can read the measurements here which is really good. But it fits really well, even though my wrists are hardly like a bear's paw. As I have only been wearing the watch for three weeks, I cannot comment properly on the durability of the mechanism, but for now it is working perfectly. As I said: an outstanding watch!